Below is Aaron's inventory of unused and used meat equipment. 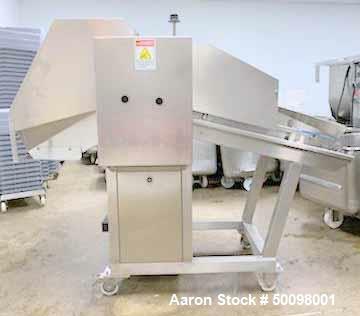 If you are looking to sell your used meat equipment submit a request online or contact Erik Eichert at 630-238-7480. 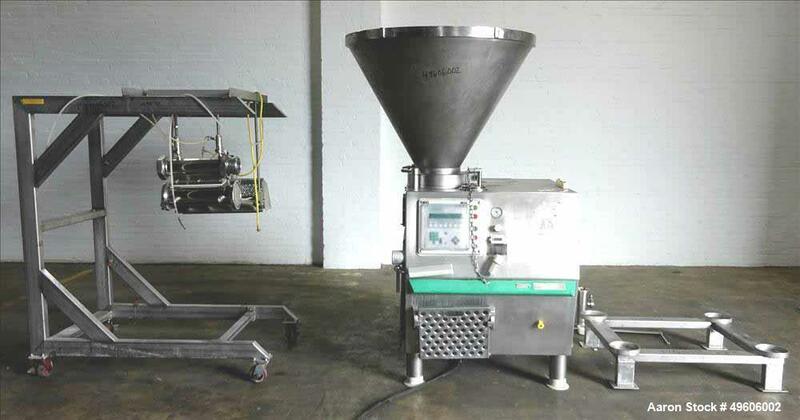 Used- Vemag Double-Screw Vacuum Filler, Model ROBOT HP15C. Filling rate up to 14,000 kg per hour. Double screws driven by a 15 kW motor. Requires lifting tipping device. Approximate 3" diameter carbon steel screws, #916310047. Mounted on legs. Serial # 143 0993. 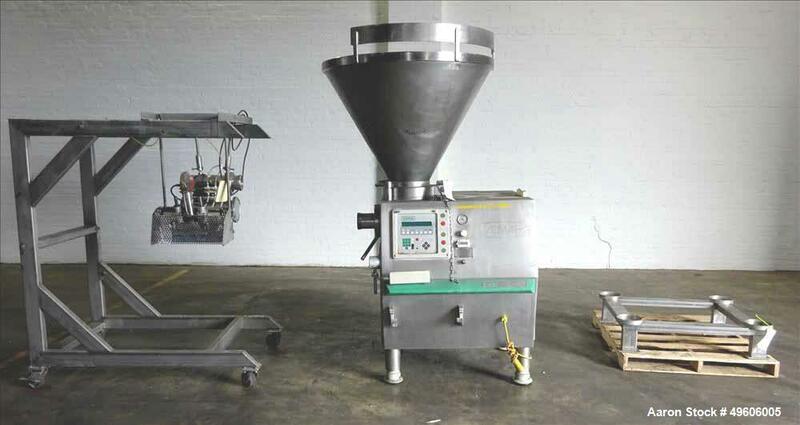 Used- Meincke Two Roll Extruder/Expander. (2) Approximate 6'' diameter rolls, stainless steel. Dual drive, one for feed rolls, one for cutting die plate with control panel. Unit requires hopper and die plate. Includes dual AC Moog servo drives, model G426-404, type GL-30. 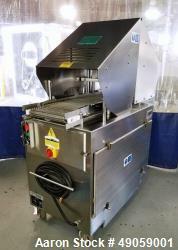 Used- Ross Meat Tenderizer, Model TC700MC. Used- Ross Industries Meat Tenderizer, Model TC700MC. 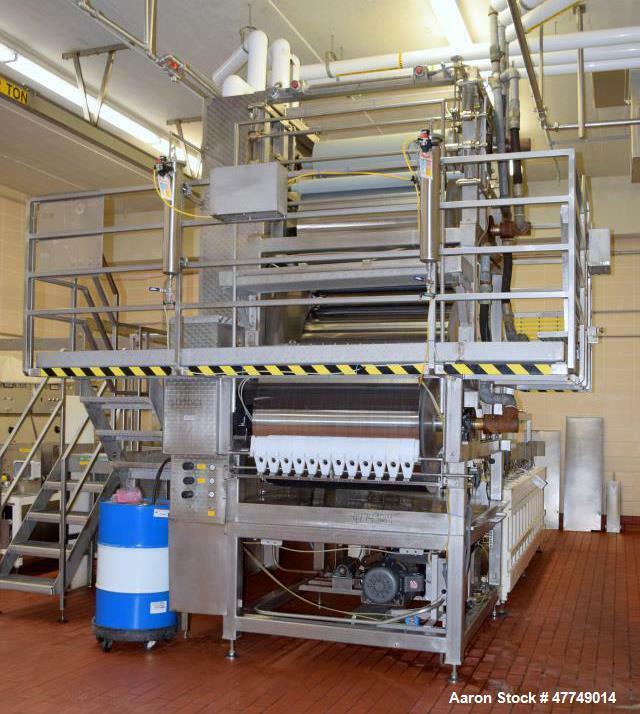 Approximate production rate 3,000 pounds per hour. Approximate 12" wide conveyor with 3.3 feet per minute speed. Maximum product height at Lo position is 7", at Hi position is 9". Serial# 1842DAM. 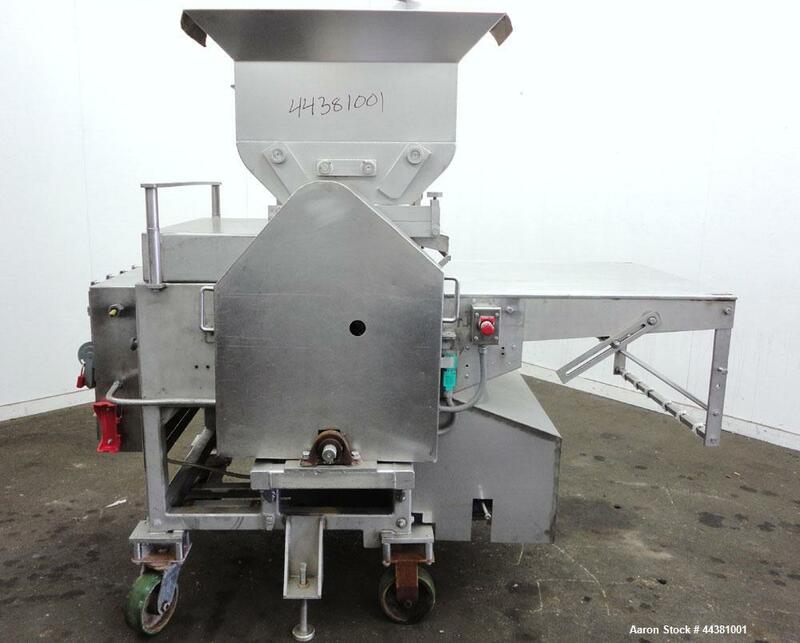 Used- Busser Micro Slicer, Model WB 2005 FCS 45T, 316 Stainless Steel. Horizontal design, rated approximate 4409 to 7716 pounds per hour depending on tooling & product. Approximate 5-1/2" diameter rotor. Driven by a 55kw (73hp), 3/60/460 volt, 3568 rpm motor. Inlet hopper, 3" outlet. Serial# 2005 1234-1, built in 2005. 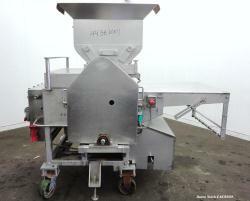 Used- Bridge Machine Patty Former, Model 240, 304 Stainless Steel. Approximately 21,600 patties per hour. 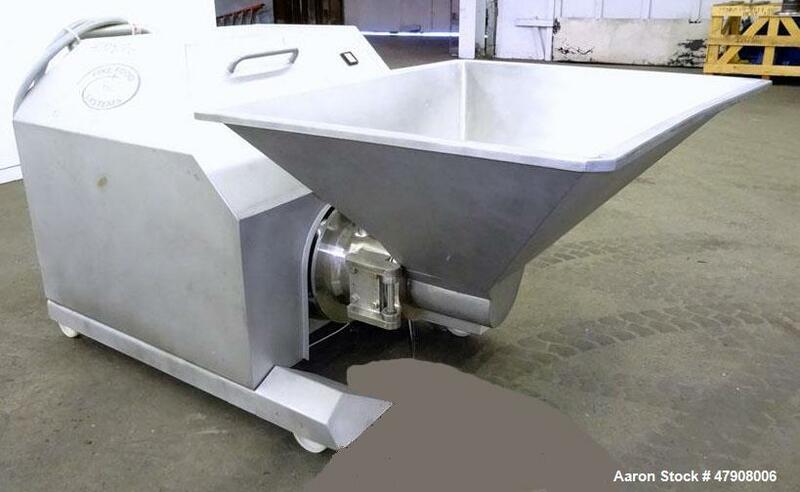 Top self-feeding hopper with paddles and agitators. Bottom mould plate with approximate 4" x 4-1/2" oval patty die. 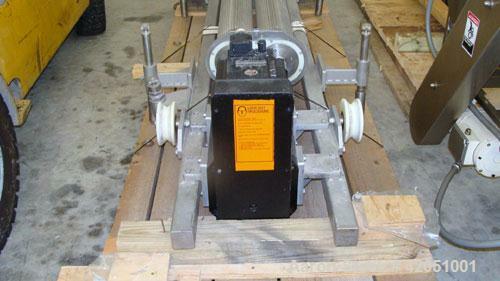 Requires belt for discharge, Driven by a 5 hp, 3/60/230/460 volt, 1730 rpm motor. Mounted on casters. 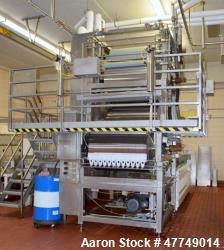 Used- Vemag Double-Screw Vacuum Filler, Model ROBOT HP15C. Filling rate up to 14,000 kg per hour. Double screws driven by a 15 kW motor. Requires lifting tipping device. Approximate 3" diameter carbon steel screws, #916310047. Drive motor and vacuum pump were removed and need to be reinstalled. Mounted on legs. Serial # 143 1007. Type: Patty Former Mfr: Bridge Machine Co.